The details: The meeting took place on Feb. 28, according to public records. Pharmaceutical Care Management Association CEO Mark Merritt and several other lobbyists affiliated with the PBM trade group attended. Federal officials at the meeting included Joe Grogan, director of health programs at the White House's Office of Management and Budget, and numerous people with the Centers for Medicare & Medicaid Services, the agency that proposed the policy in November. Merritt said in an interview the meeting was "mostly on issues where we had common ground," like opioid prescribing. But he and others voiced their opposition to point-of-sale rebates and reminded officials that President Trump's own budget said the measure would raise costs by $42 billion over the next decade. Between the lines: The rebate proposal is only in an information-gathering phase, and independent analyses suggest it would in fact lead to higher Medicare premiums. 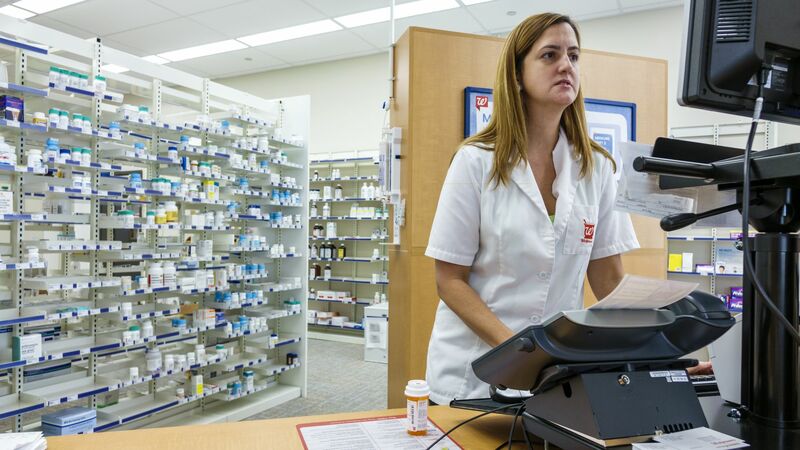 But the Trump administration is hunting for any ways to ease drug costs, and the rebate idea would be an easy way for people to feel relief when they pick up their prescriptions. Go deeper: Inside a drug pricing contract.